Manufacturers and warehouses are implementing barcode technology to simplify their complex business activities and requirements in this competitive business environment. Worldwide manufacturers and warehouses of various goods use barcode generator software to improve their inventory and tracking system by assisting to craft manufacturing industry specific or warehouse barcodes. 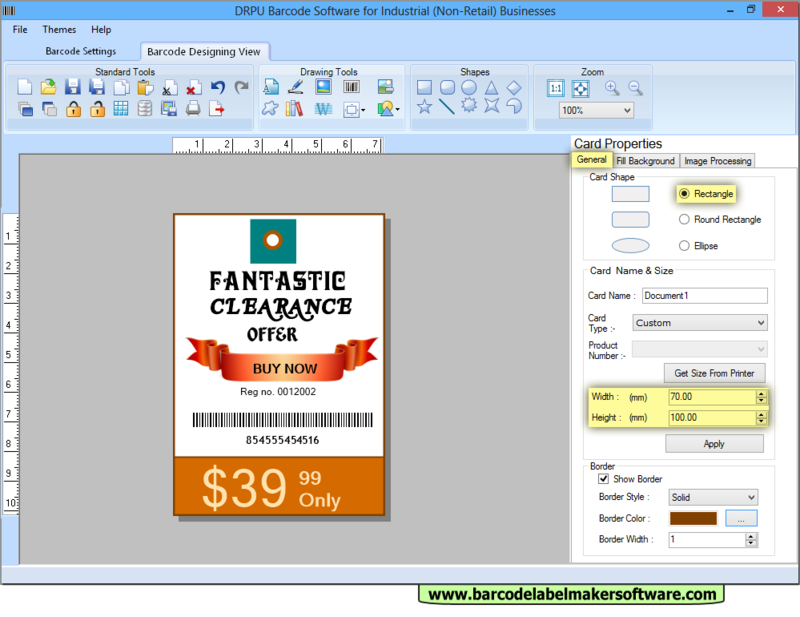 Barcode label maker software is integrated with GUI interface to create manufacturer or stockroom barcode labels using any of the popular Linear and 2D barcode fonts. Barcode creator utility is devised with barcode sequence generating options to create bulk barcodes useful in varied manufacturer industries and goods warehouses. Go to barcode settings to set barcode technology (Linear or 2D) with its font type and do changes in general, font, color and image settings as per need. Barcode software creates barcodes in all major Linear and 2D barcode font standards. Barcode generator utility provides options to save the created barcode images in any of file formats (JPG, TIFF, EXIF, GIFF, BMP, PNG etc) on PC. Flexible printing facilities of the barcode label printing software enable users to design as well as print generated barcode labels and stickers. Sequential, Constant and Random series generating options offered by the barcode system software helps to build multiple barcodes beneficial for various manufacturing industries. Barcode image designing objects provides users a helping hand to create barcodes.